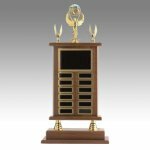 A collection of billboard stand-up plaque trophies - choose from a choice of figures and custom engraving on these stand-up billboard plaque trophies. Excellent for almost any award recognition presentation, including sport trophies and academic trophies. 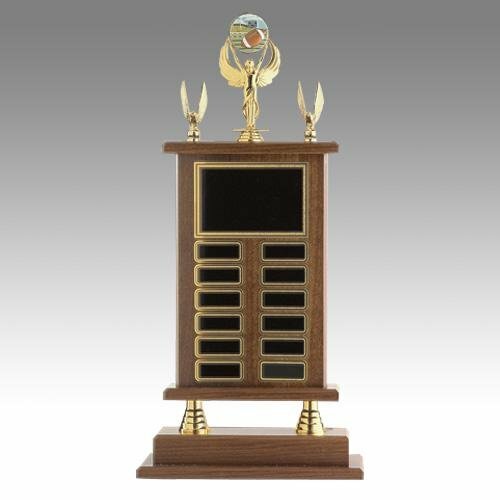 This beautiful perpetual award offers the option to recognize individual winners from year to year without the need to produce a new award each year. You may choose to supplement this award by presenting annual winners a plaque. Plates sold separately. 11 1/2" x 2 1/8" x 22"